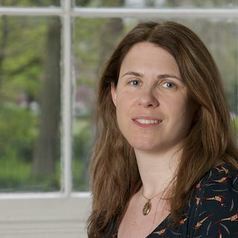 Dr. Maria Power joined the Institute in 2003 from Royal Holloway, University of London, as an ESRC Post-Doctoral Fellow and became a Lecturer in Religion and Peacebuilding in 2006. She is the author of From Ecumenism to Community Relations: Inter-church Relations in Northern Ireland 1980-2005,(Dublin, 2007) and editor of Building Peace in Northern Ireland, (Liverpool, 2011). She is currently writing a study of the Catholic Church during the conflict in Northern Ireland focusing in particular on the work of Cardinal Cahal Daly which will be published in 2016. Her recent publications include: Reconciling State and Society? The Practice of the Common Good in the Partnership of Bishop David Sheppard and Archbishop Derek Worlock; Second-class republicans? Sinn Féin, feminism and the women’s hunger strike; In pursuit of the Common Good: Derek Worlock and David Sheppard, and the ecumenical response to the 1981 Toxteth Riots; Peace in Northern Ireland: a work in progress.